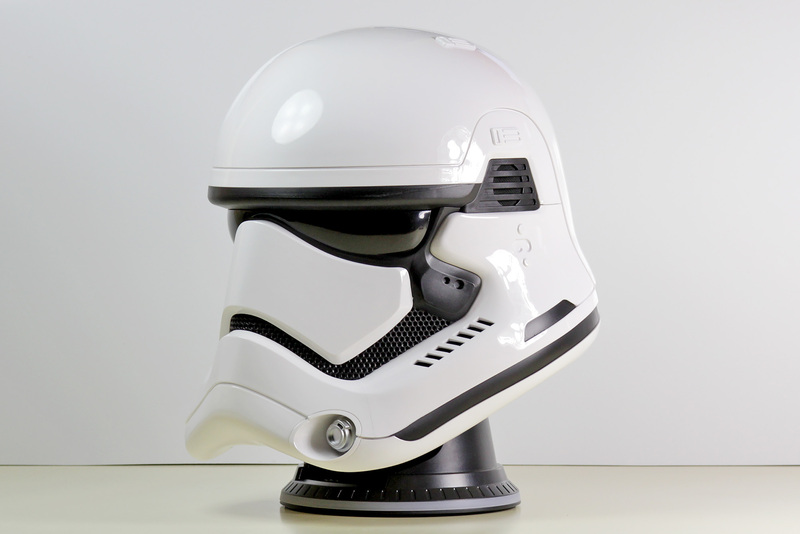 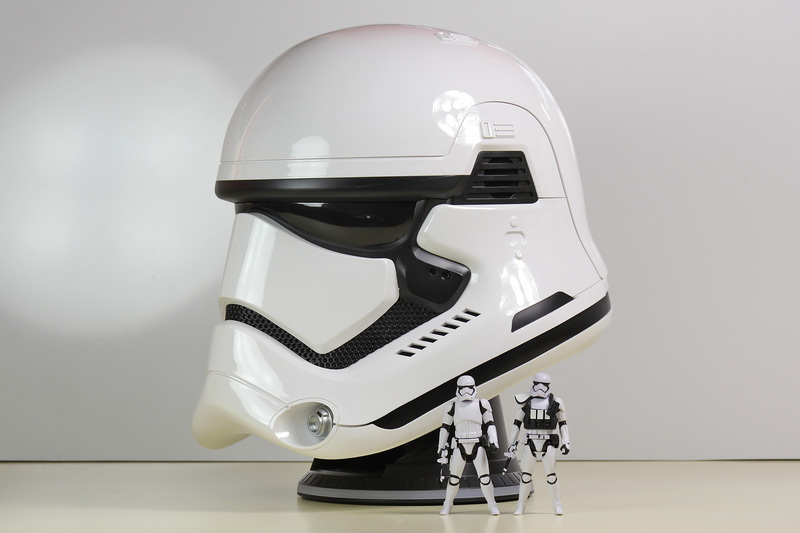 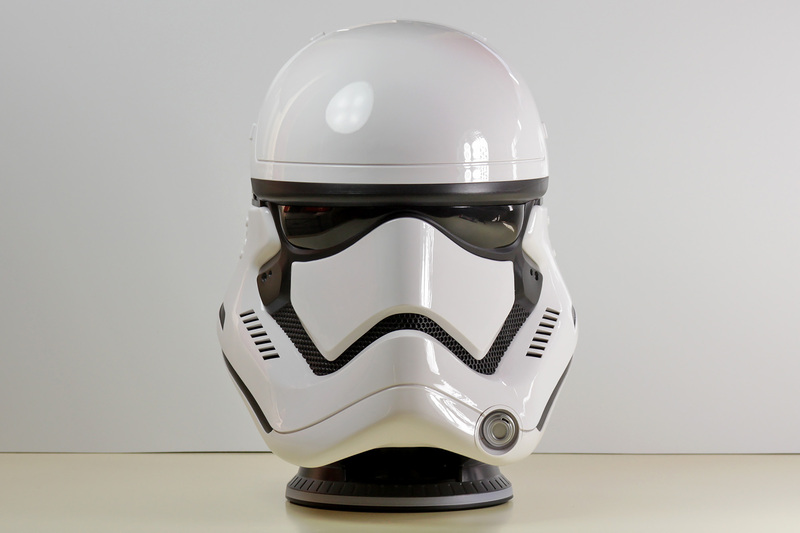 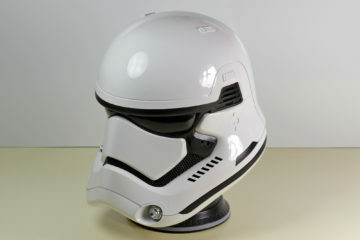 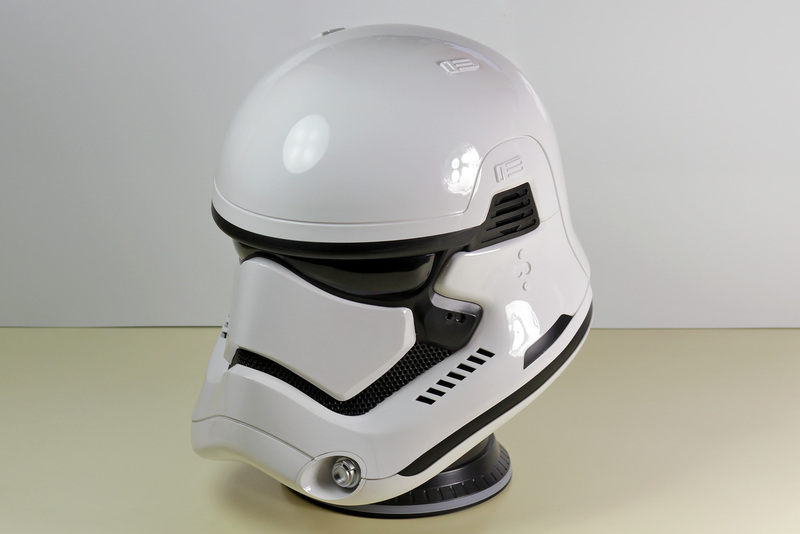 This 1:1 scale replica of a Star Wars: The Force Awakens stormtrooper helmet isn’t just a nicely detailed and impressive looking life-size display piece, it’s also a very easy-to-use bluetooth speaker, licensed by Lucasfilm and manufactured by Camino. Produced from high-gloss plastic, it has sharp details, black inset components and trim, and is permanently mounted on a solid stand with red LED lighting in the base. 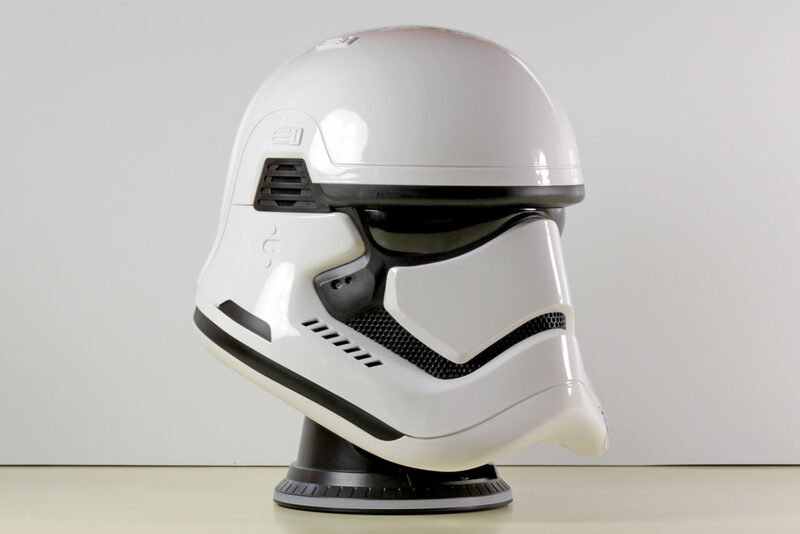 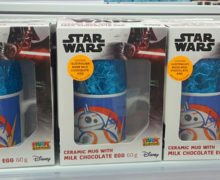 Although it is a functional wireless speaker, I really like it as a collectible positioned in a prominent position on the display shelf, and am sure other aficionados of First Order design will think likewise. 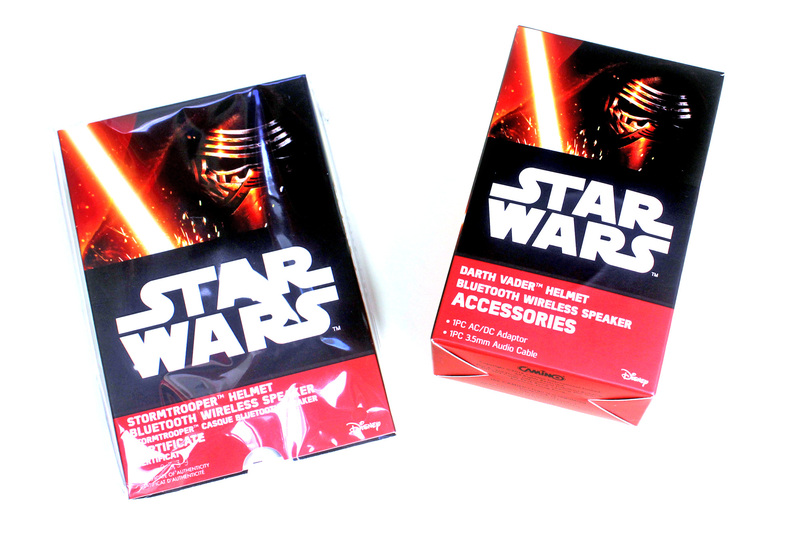 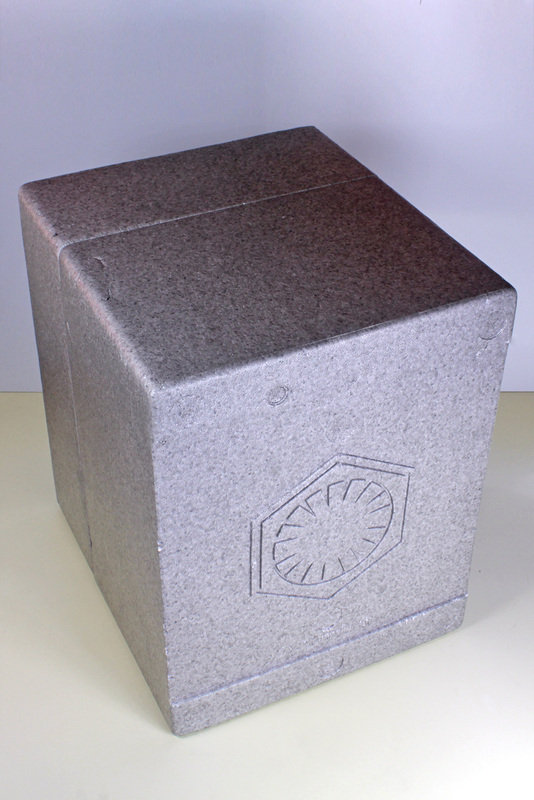 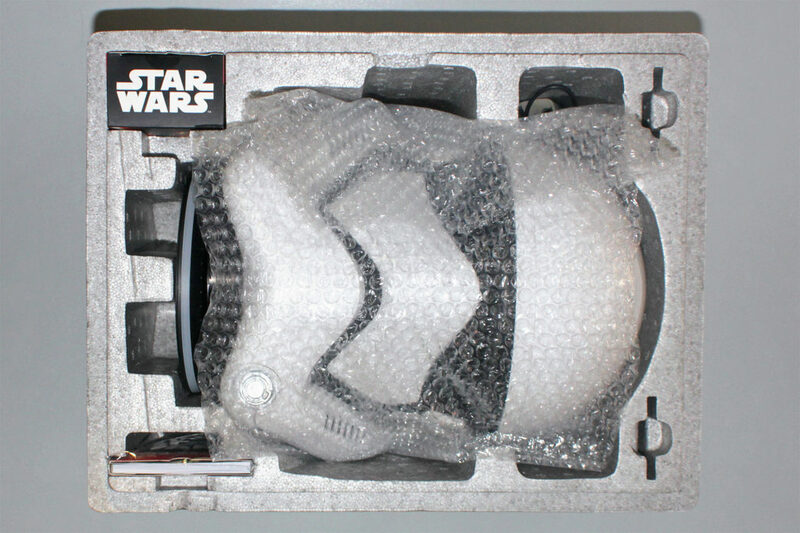 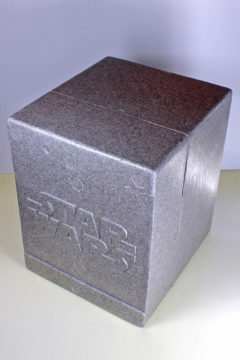 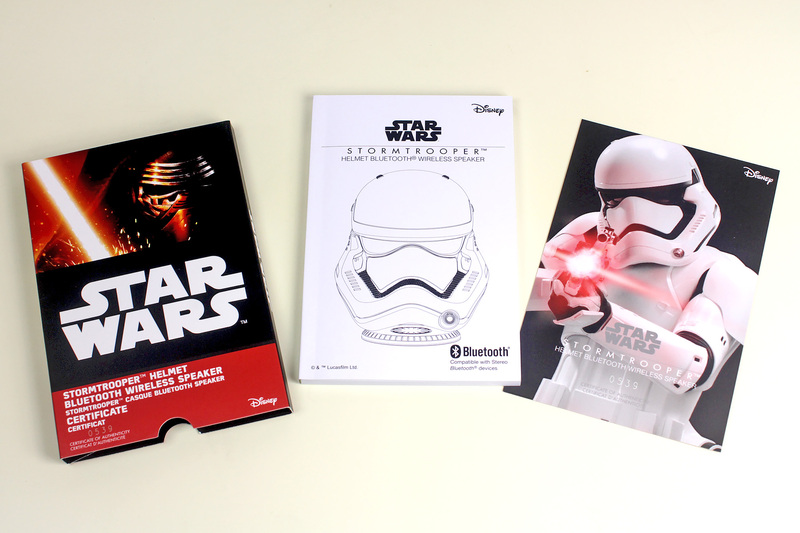 The helmet ships, as we might expect, protected in custom polystyrene packaging. 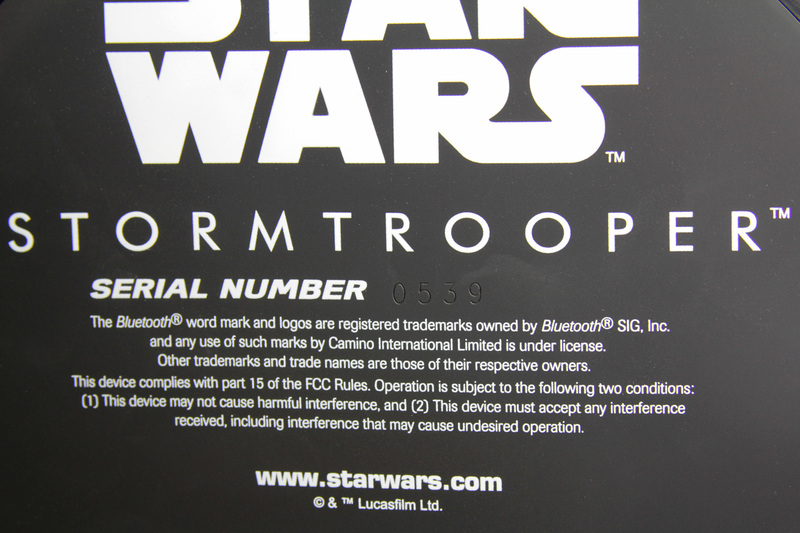 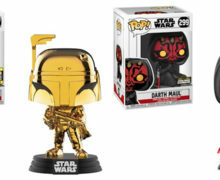 It comes with a numbered certificate of authenticity (the product is limited to 3,000 units) and the product issue number is also printed on the bottom of the base. 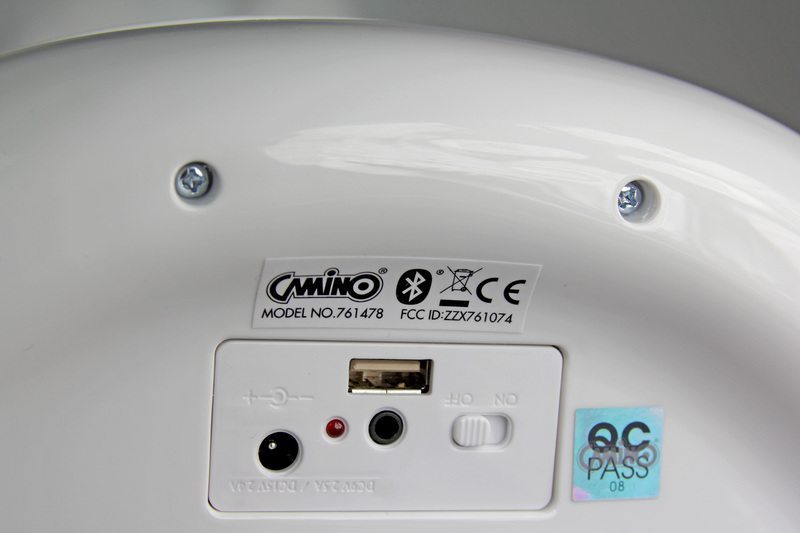 Also contained are a power supply, USB to micro-USB cable (for charging external devices), 3.5mm audio cable, and a quick-start instruction booklet. 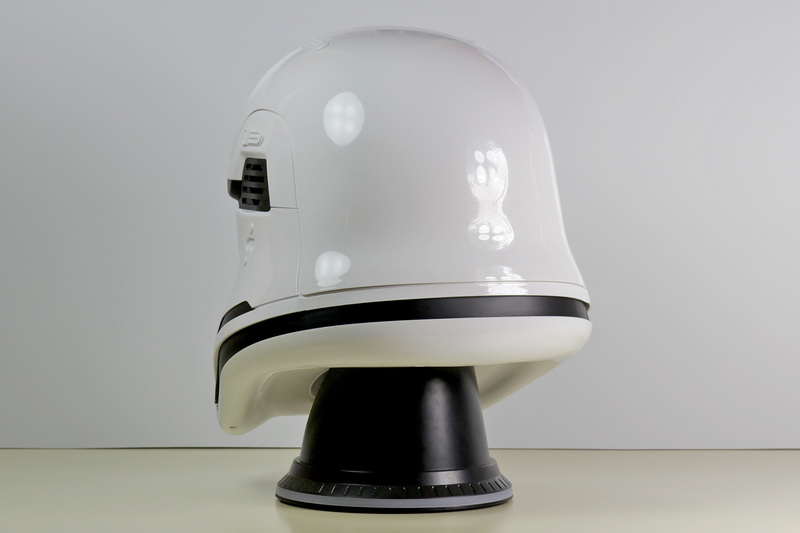 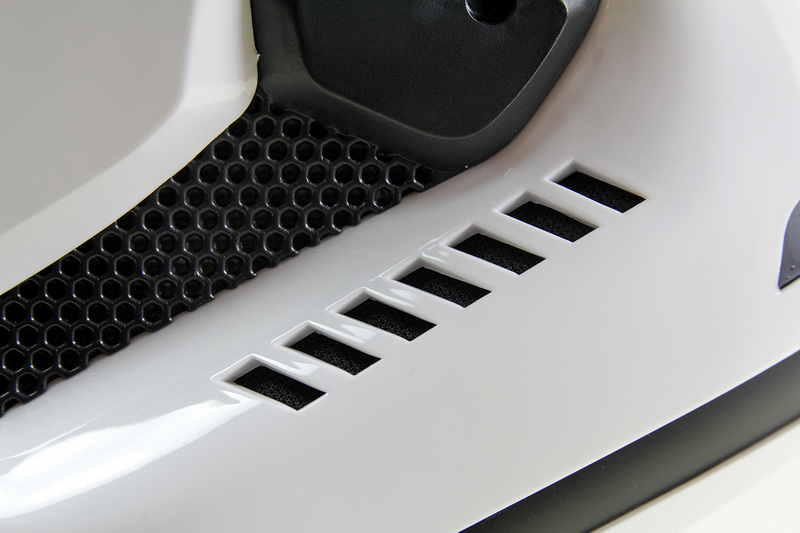 The speaker is designed for ease-of-use, and consequently has minimal controls – a small panel hidden around the rear underside of the helmet houses the audio input, power in, and USB power out ports, as well as an on/off switch and LED power indicator. 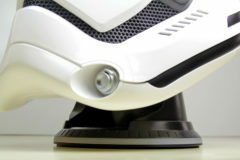 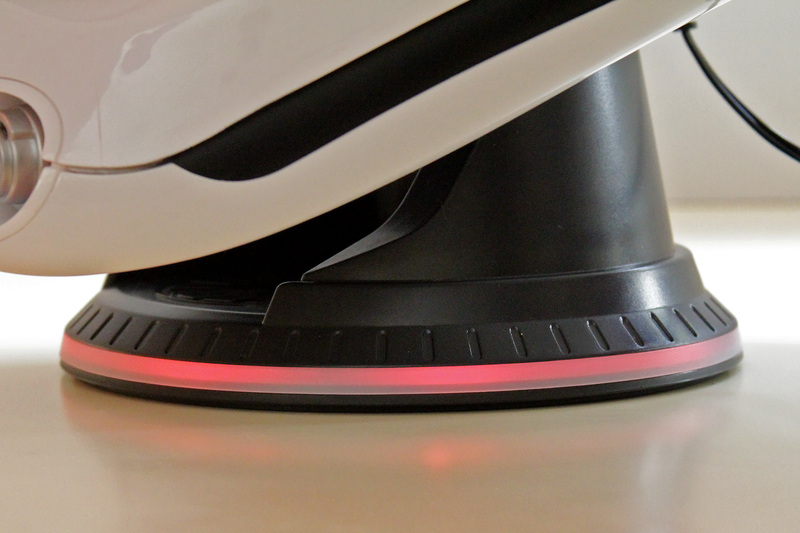 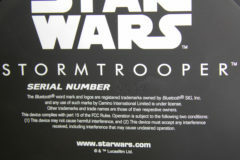 When switched on, a “troopers marching” sound cue will play and the base will light up gradually, then pulse to indicate that it is ready to pair with a bluetooth device. To use it as a speaker, just access the bluetooth settings on your smartphone or computer, and search for a device called, aptly, “Stormtrooper”. Successful pairing is indicated by the sound of a Shock Baton, and the LED lighting in the base becomes steadily lit. 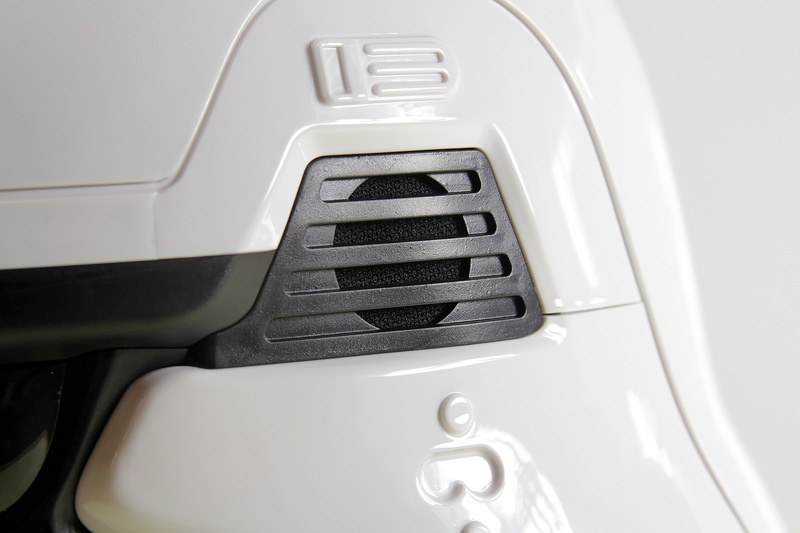 The alternative to connecting via bluetooth is to simply plug the supplied audio cable into the helmet and the line-out socket on your device. 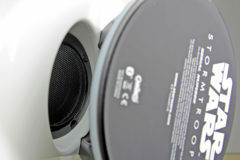 Hit play on your music app, and control the volume completely from your phone/computer/media player. When you quit the bluetooth connection, the LED base will return to it’s “searching” pattern of oscillating illumination, and the speaker plays a recorded “move out, let’s go” voice sample. 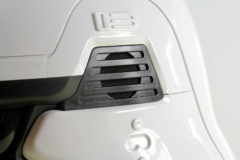 The stormtrooper helmet is equipped with 3W (RMS) stereo speakers in each of the the left and right temples, and a 15W (RMS) woofer tucked in under the chin. 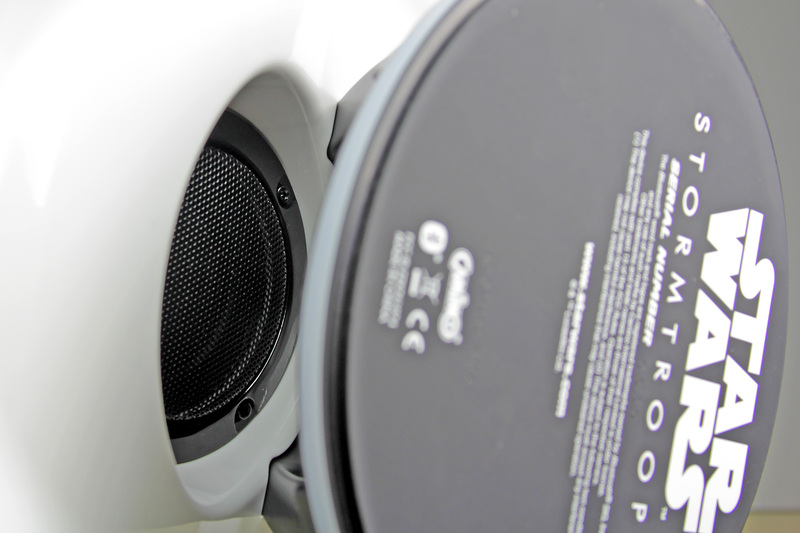 This set of speakers doesn’t have the power to deliver room-shaking volume, but then that’s not what it’s designed for. 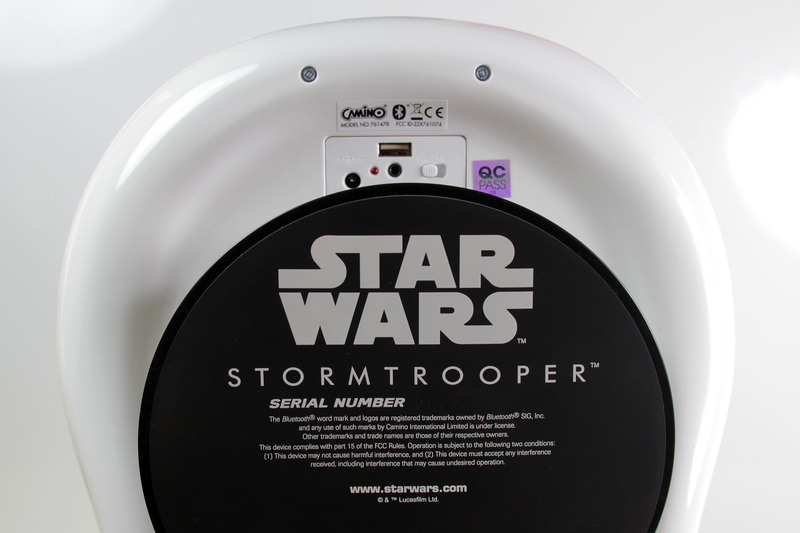 It can easily produce clear sound and solid bass to faithfully reproduce your favourite Star Wars soundtrack, with enough amplitude to be useful in any moderate sized living space. 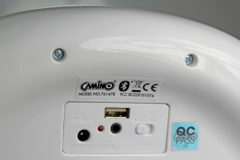 An added feature is the USB power out port (5V 1.2A), which allows you to plug in and charge a phone or other portable device. The stormtrooper helmet bluetooth speaker will be available from JB Hi-Fi, EB Games, Toyco, and Mighty Ape ($699.99 RRP). 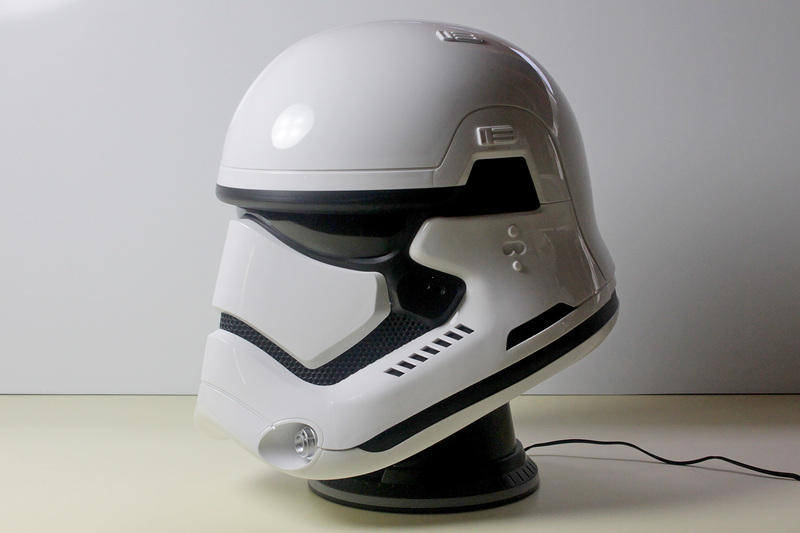 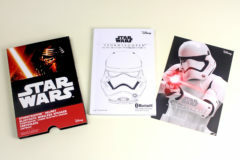 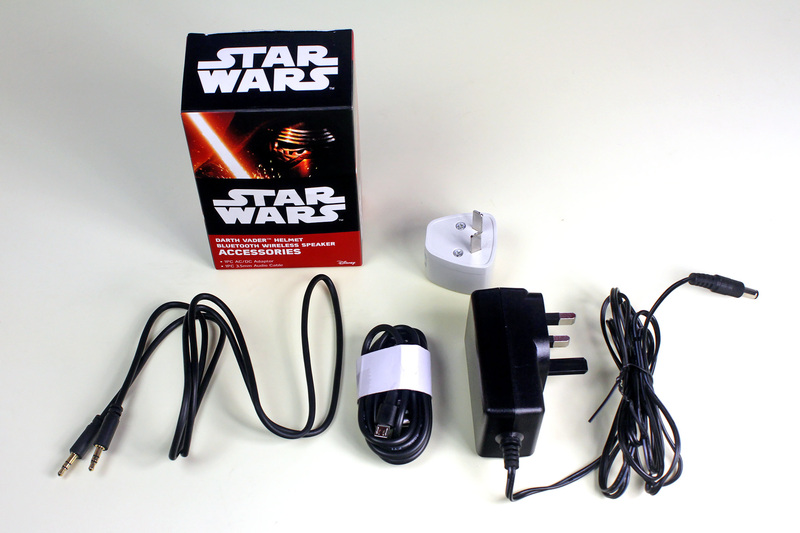 Stormtrooper fans in particular will undoubtedly enjoy having this speaker visible in your home or workplace, as even when it is not being used as a piece of audio equipment it is a fantastic Star Wars replica costume item. 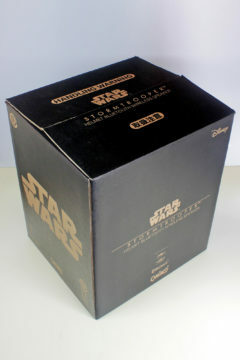 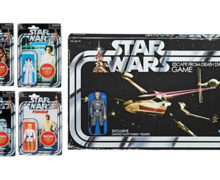 This product has been supplied for review purposes by Play Distribution. SWNZ stands by the position that this, and all of our reviews, are an honest analysis and opinion regardless of whether the merchandise was purchased or supplied by a manufacturer/retailer.